Map It! Okinawa: "Tsuken Jima"
Known for its carrot fields, Tsuken Jima (or Tsuken Island) sits off the coast of Okinawa proper, southeast of the Katsuren Pennisula. 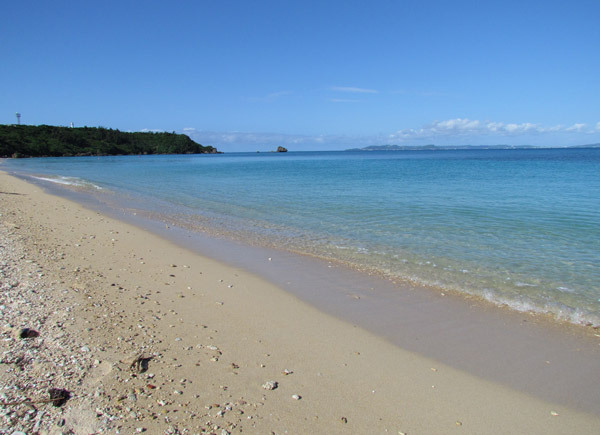 The entire island can be pretty much seen in one day on foot, and makes for a great one-day excursion off-island. 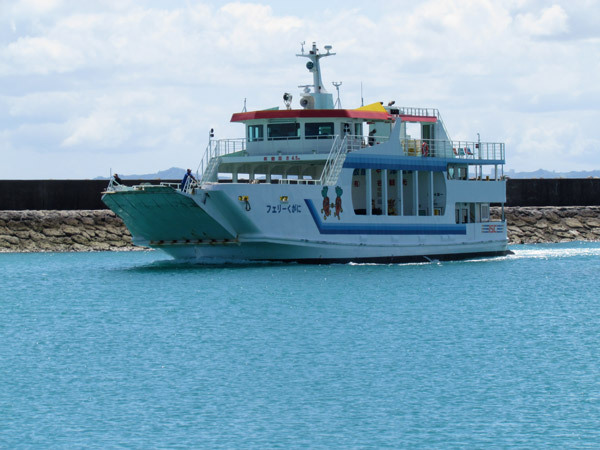 If it is your first time trip to Tsuken, recommend that your start on the south western side of the island first. It is here where the 'Tsuken Trail' begins. From there you can trek north, clockwise to the other side of the island and make your way back south. The Tsuken Trail. 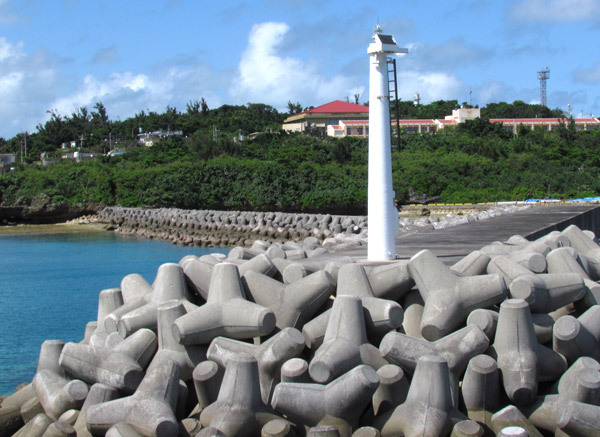 The Tsuken Trail is mostly a paved walkway that begins on the southwestern end of the island. Near the beginning of the trail (see map icon above) there is a 'Peace Pole' and the Hotoga Spring. 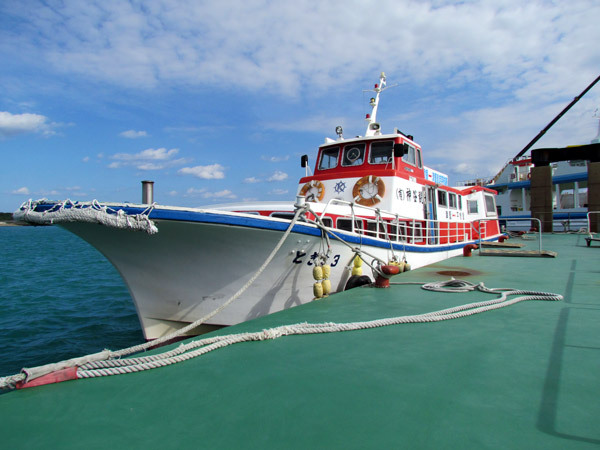 The 'Peace Pole' can be visible on the boat ride coming in. As you are searching for this trail, it is quite likely that you will end up finding part of the trail north of the starting point. If that is the case just make your way south to see the Peace Pole and the Hotoga Spring. Continuing North. 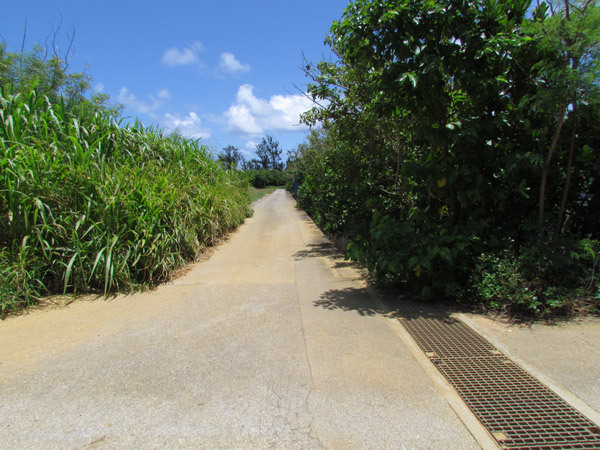 Along the trail you will see several utaki's (places of worship) and side trails that take you higher up on the ridge. 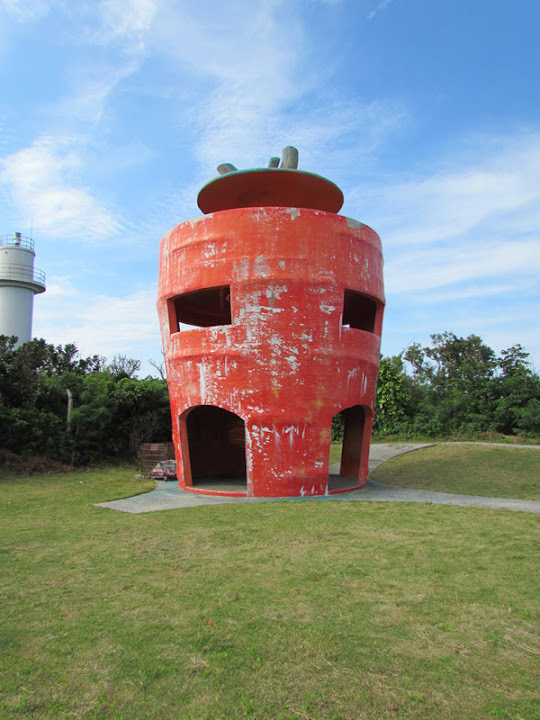 One of the side trails going up the ridge will take you to an Observatory shaped like a carrot, where you can see a panoramic view of the Tsuken Jima. 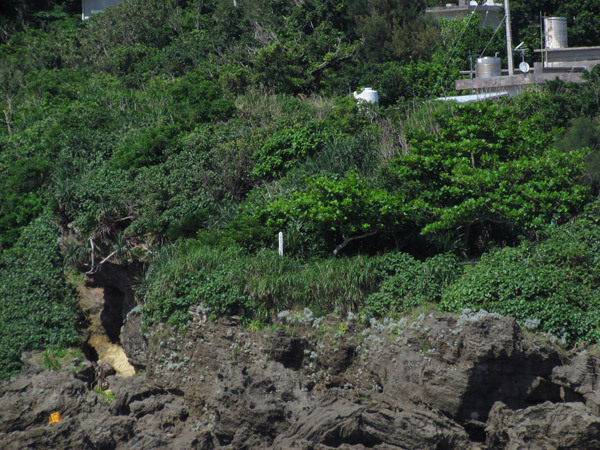 If you were to continue on the coast along the trail you will see the Kubougusuku Ruins. 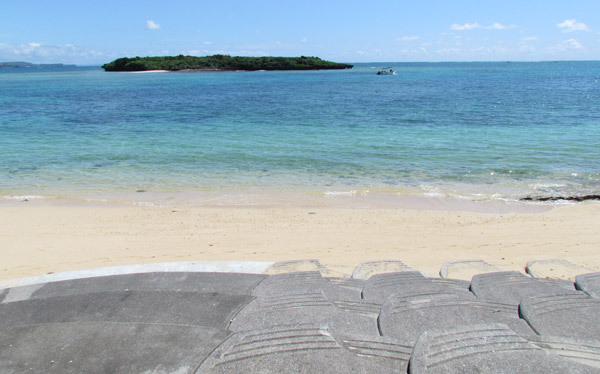 The paved trail ends at a resort facility and Tsuken Beach and then the trail becomes a dirt trail that continues north along the Toumaihama coastline. 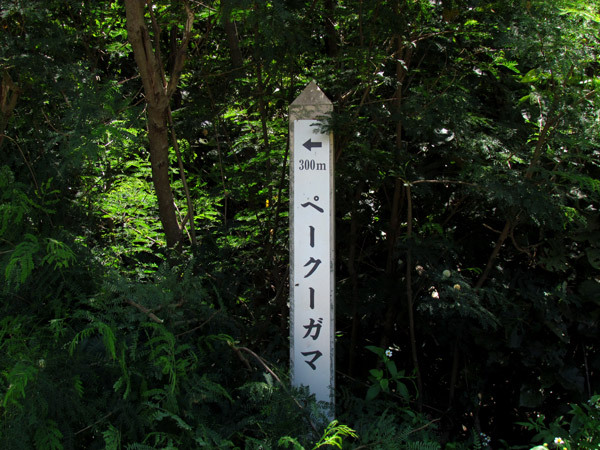 Not far on this trail is the 'Naka no Utaki' which is sacred to the people of Tsuken Jima. There is a historical sign translated in English on location. 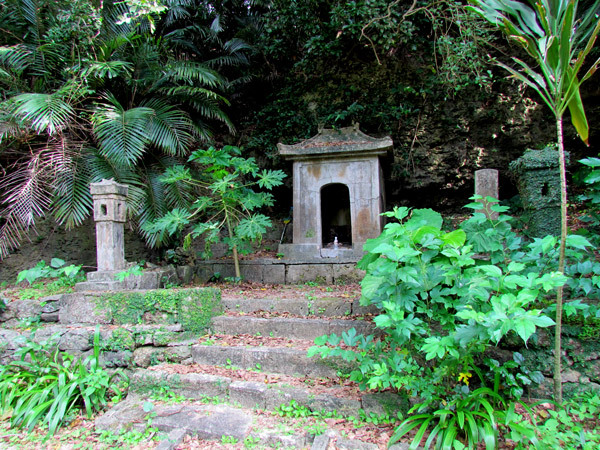 The Utaki is said to also be the burial tomb of a person referred to as Kishabashii, who is considered the “founder” of Tsuken Jima. He was originally from Kishaba Village in Nakagusuku and helped establish a community here on Tsuken Jima long ago. Northern tip. 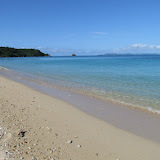 The northern portion you will see the Yajirihama Coast and a view of another uninhabited island, Afuiwa Island. Pēkū Gama (ペークー ガマ). 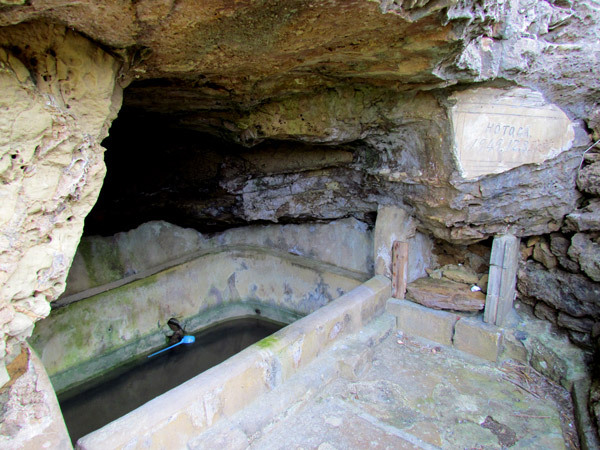 Along the north eastern side is a small cave that is also a place of worship. 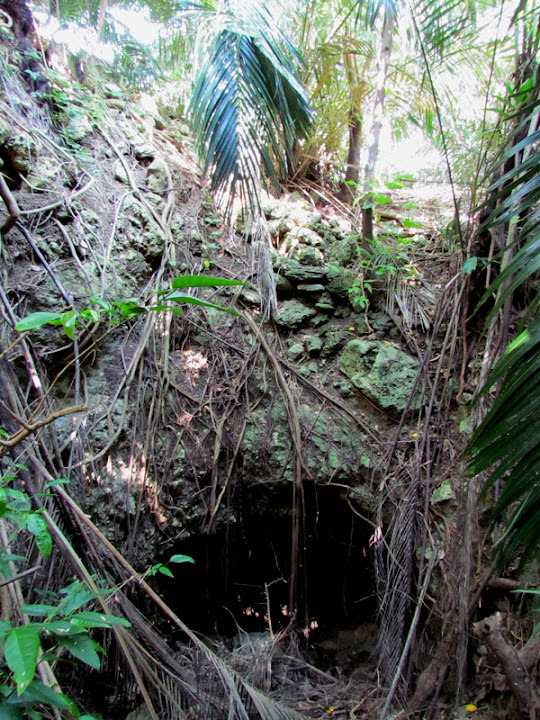 This is called Pēkū Gama or the Pēkū Cave. 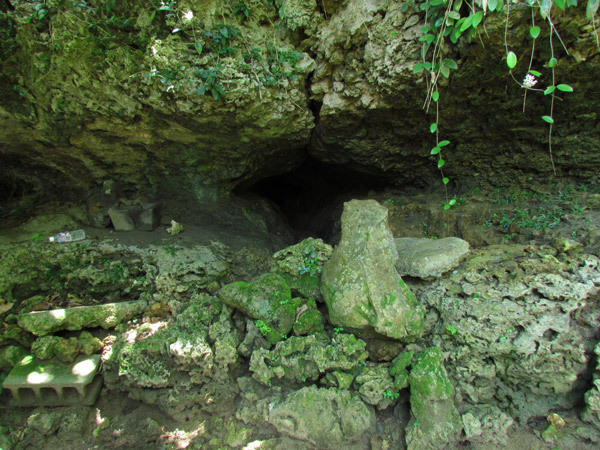 To find this cave you have to navigate your way to the northern most 4-way 'paved road' intersection on the eastern side. 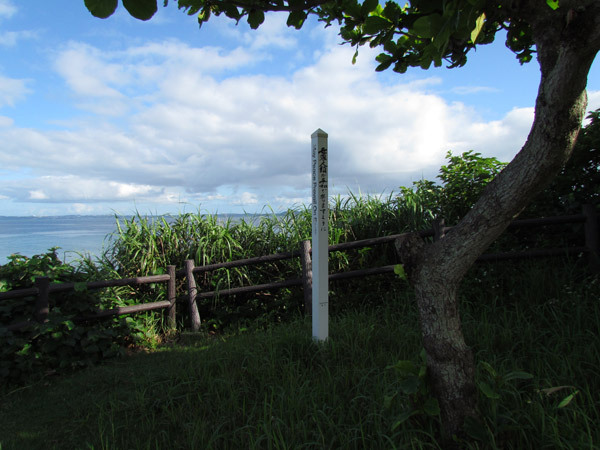 From there go east on the the paved road till you see this sign marker which says Pēkū Gama 300m in Katakana (ペークー ガマ). Follow the arrow and the trail. There are some side trails but eventually you will see this small cave opening. 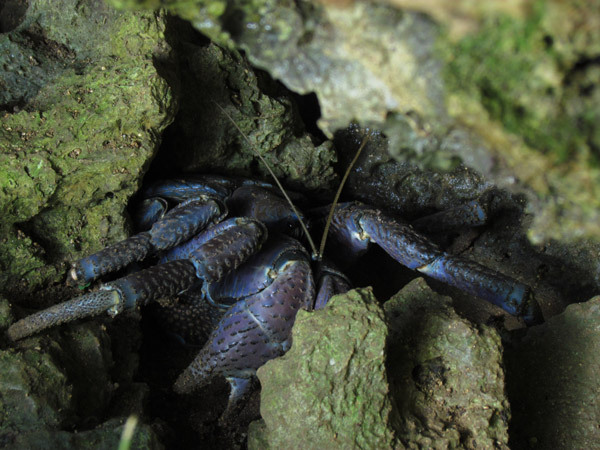 Along this trail, you may see some large land crabs, some with large pinchers – and if you are lucky, even a coconut crab. In the event that you do see a coconut crab, just be aware that they can grow very large and their pinchers are known to cut off coconuts/screw pines from trees. They are very strong. Also because of the intense moisture in this area, there are a relentless amount of mosquitoes at this location. For safety and cultural sensitivities, it is recommended that the cave not be entered. Please see photo album for more things to see at Tsuken Jima. What to bring. Umbrella for shade and to remove spider webs, mosquito repellant, hat, neck towel, sun screen, hiking gloves for protection, small backpack, bring your own food and water for the stay (you will not see many stores and open restaurants along your walk). If you don't mind the heat, then wear some comfortable pants and long sleeves. This depends if you decide to venture in densely vegetated areas where you will see many mosquitoes, bugs, spiders etc. If you going there to fish or swim than plan accordingly. 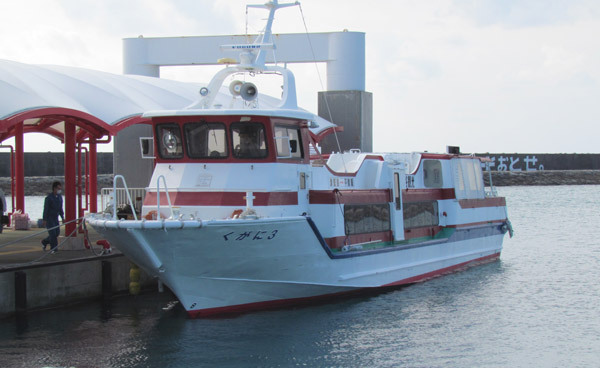 Leaving Heshikiya Port: 730am, 9am, 11am, 2pm, 5pm. Leaving Tsuken Jima: 8am, 10am, 12pm, 3pm, 6pm (530pm 10/1-3/31). Schedule subject to change. Call in advance. Car Transportation. Fee is based on vehicle length size. Prices subject to change. Call in advance. Price range: 4,770 Yen to 12,690 Yen. Bike rentals. 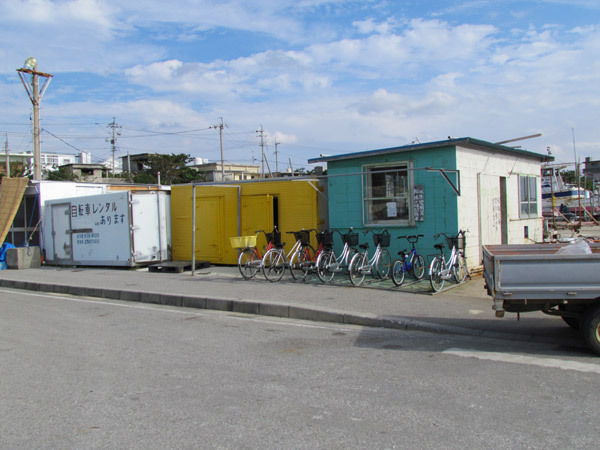 There is a small bike rental office behind the Tsuken Port. 500 Yen all day. Phone number 098 978 4029 or cell phone 090 2507 1611. Office personnel may not be immediately available and a phone call may be required to contact them. Note. If you decide to rent a bike and take the Tsuken Trail you may be required to walk your bike through lot of areas. Ticket Price. You can buy a round-trip ticket but consider buying a one-way ticket if you are not sure what return trip you plan on making. Round-trip tickets will end up being slightly less. Prices will vary on which boat you take. Prices subject to change. One-way ticket: from 630-780 Yen for adults, to 320-390 Yen for children. Round-trip tickets: from 1200-1490 Yen for adult, to 610-750 forYen children.